Dancers reveal how they balance shows, rehearsals, holidays and everyday life during ‘Nutcracker’ season. 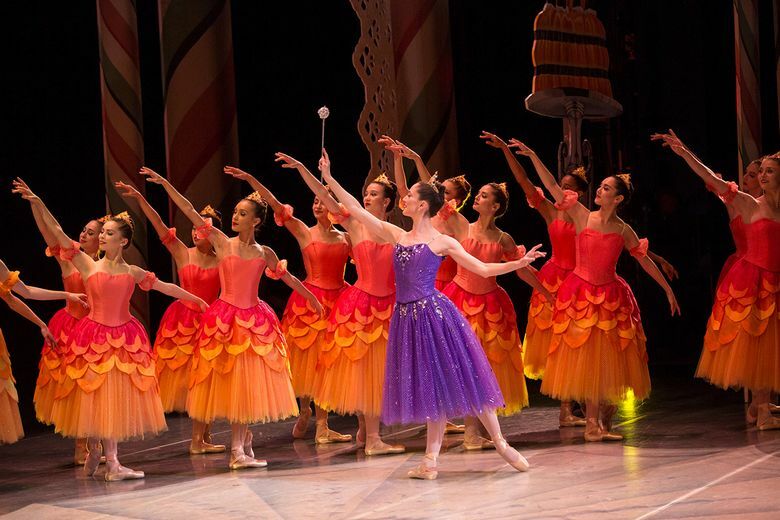 Across the United States each fall, ballet dancers prepare for their annual appearances in “The Nutcracker.” A time-tested holiday tradition, this ballet supports everything else a ballet company will produce for the rest of the year. Over a million Americans will get a chance to enjoy professional dance while helping those nonprofit companies flourish, and “The Nutcracker” is typically a balletgoer’s first ballet experience. On the other side of the curtain, however, a full cast of professional dancers and dancers-in-training are experiencing what could be their most strenuous performance schedule of the year. 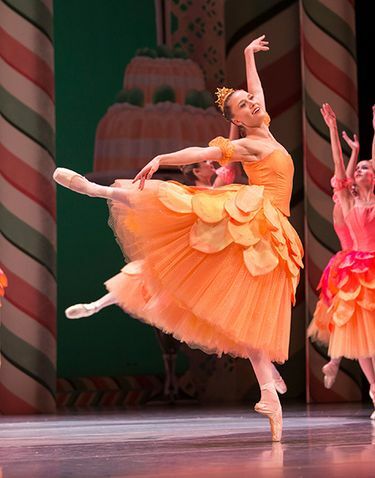 “We pretty much live at McCaw Hall for the run of ‘The Nutcracker,’ ” says Pacific Northwest Ballet corps de ballet dancer Madison Rayn Abeo. 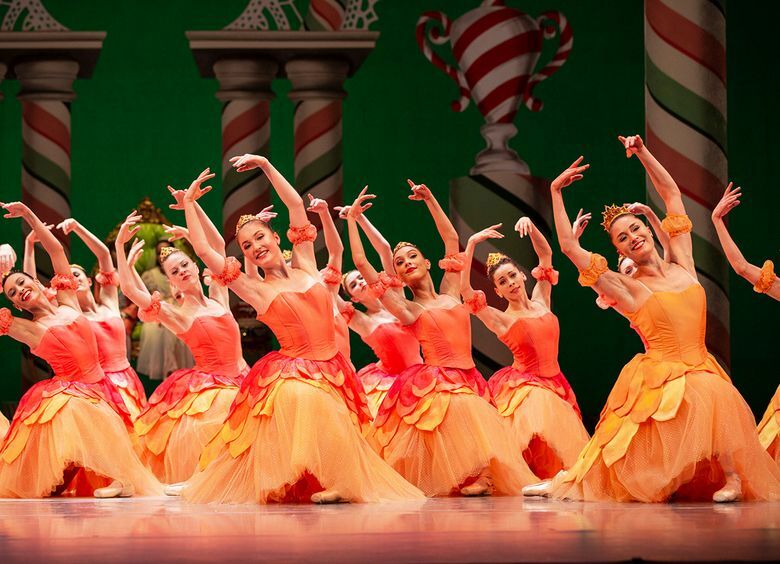 PNB presents 35-40 performances of “The Nutcracker” annually, from matinees and evening shows to dress-rehearsal special events. How many pointe shoes does it take to perform 40 “Nutcrackers”? At least 40, for most dancers. One pair per show is the minimum, with some dancers using up to three. “I sew a lot more pointe shoes [during “Nutcracker” season] because my shoes die much faster,” says Abeo. And in the midst of a rigorous performance schedule, good pointe shoes help keep dancers’ legs and feet healthy. “I also stock up on Epsom salts, and I use a heating pad as well as compression socks religiously during my down time,” says Abeo. Injury prevention is vital. 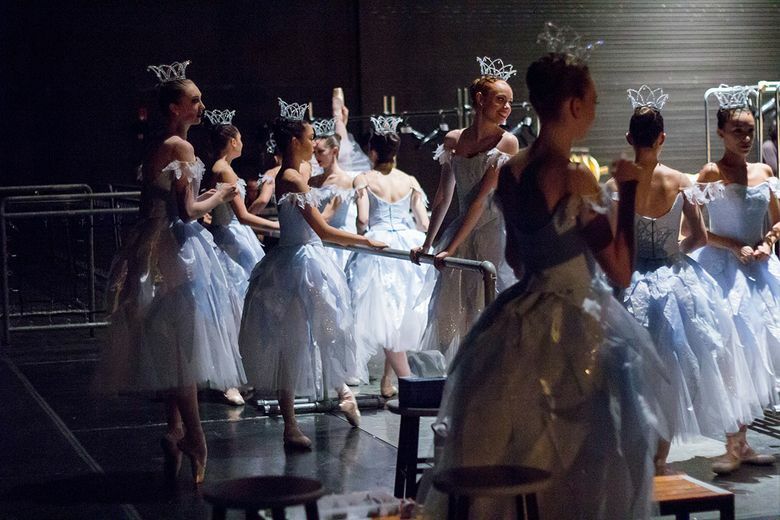 After their final “Nutcracker” performance December 28, dancers have only one week off before returning to the studios for more rehearsals; after “The Nutcracker,” PNB presents “The Sleeping Beauty” during the first two weekends of February. Even in early December, those rehearsals are already beginning. 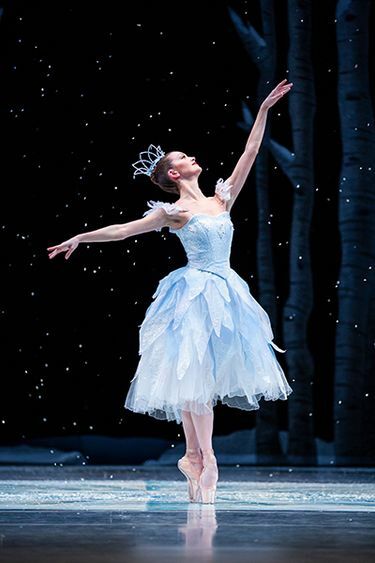 “Nutcracker” rehearsals can last six hours per day for several weeks. 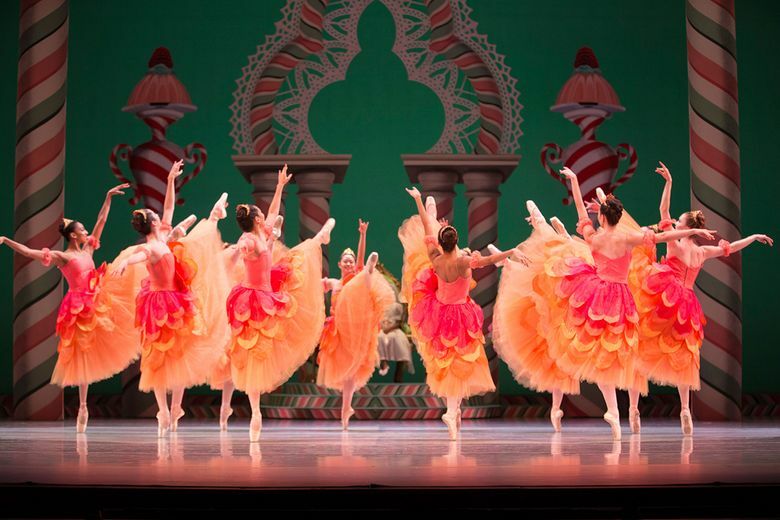 Though PNB has already performed this version of “The Nutcracker” for three previous seasons, new dancers need plenty of rehearsal time to make everything perfect for brand-new audience members. And some roles can be tricky: You have to learn your own part while mastering the scene as a whole. But each role is danced to perfection every night. “We need to make sure every step is musical, clean and done to the best of our ability,” says Abeo. 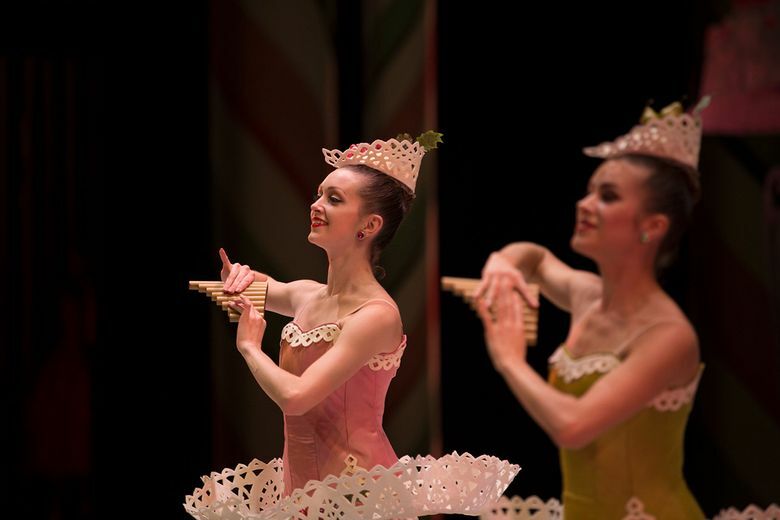 Despite their pursuit for perfection, dancers are regular people, too – and they celebrate holidays during “Nutcracker” season. Those lucky enough to have family nearby, like Abeo, invite them to see their “Nutcracker” performances – and share the holidays with Seattle transplants. “Since my parents live nearby, every year we have a big dinner for all the dancers who don’t have somewhere to spend the holiday,” says Abeo. Spend your holidays with PNB! 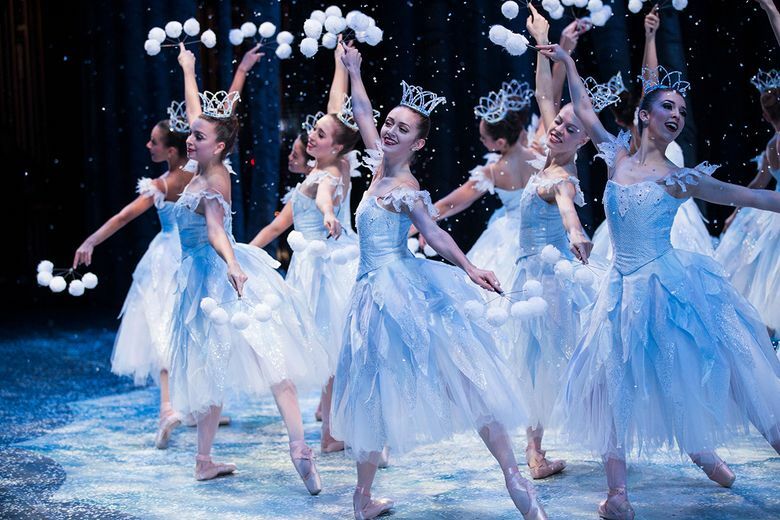 See “The Nutcracker,” with Tchaikovsky’s cherished score played live by the Pacific Northwest Ballet Orchestra, the brilliant dancing of PNB dancers, Ian Falconer’s scenery and costumes, and Seattle Center’s McCaw Hall all dressed up for the holidays.